✅ Trip Verified | This is a truly awful airport if you are departing on a low cost airline such as I was. I was departing with Ryanair to Prague from gate A18. To reach the gate you have to walk past every shop imaginable, only to find yourself located at the boarding pass scanners, you still have to walk a solid 4 minutes through a Jet Bridge and then outside. 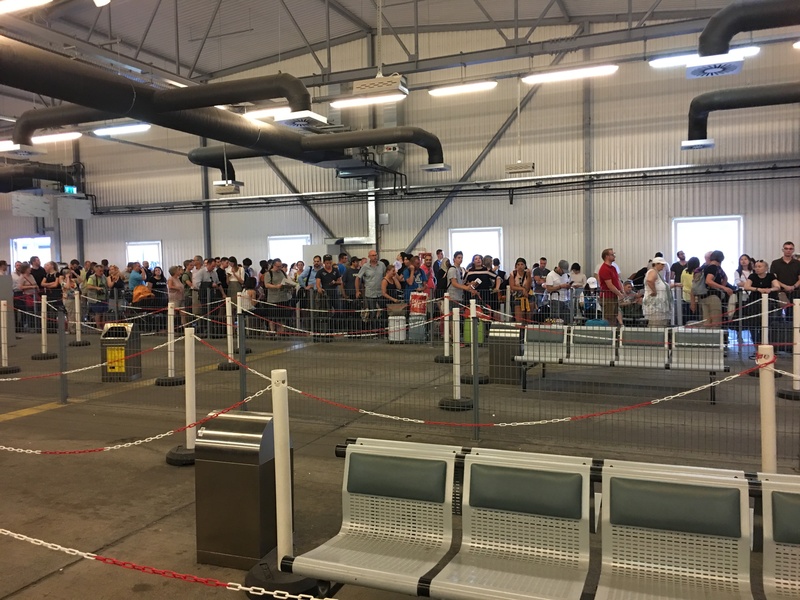 After doing this you find yourself in what can only be described as a shed where your boarding pass is scanned and passport checked, before being made to walk to the plane. It is clear this airport has been built with the only aim being to make you buy stuff you do not need, nor want. Not Verified | Wanted to come on here to say - avoid the ATMS. They rely on your unfamilarity with the currency to try to get you to take out much more money than you need - the minimum amount was 60,000 forints which is around 160 euros, and the highest values are into the thousands of euros. They ask you to accept a criminally high exchange rate and have a confusing menu system so it is difficult not to accept this. If you need a bus ticket or a taxi you can pay by card or in euros so you don't need the currency. I recommend you get your currency beforehand as all ATMS in Budapest appear to be owned by the same company. "no one knows where to go"
✅ Trip Verified | Sort out your queues! Horrible, illegible queues priority and normal are mashed together and no one knows where to go. This is one of the most disorganized airports ever! Arriving early is the only thing to save you. Yet there is no guarantee you will even find the correct queue! Not Verified | A small inadequate airport, with barely sufficient service and an important lack of space. Most of the low cost flights leave from an hangar, often without heating. Handling is often lacking in procedural quality. Few places to sit or rest, few shops, low quality dining options. Not Verified | Visually nice, modern, recently renovated, friendly size airport with many shops. In fact, my issue is that it feels a bit too commercialized like a shopping mall, and the toilets could be better maintained. 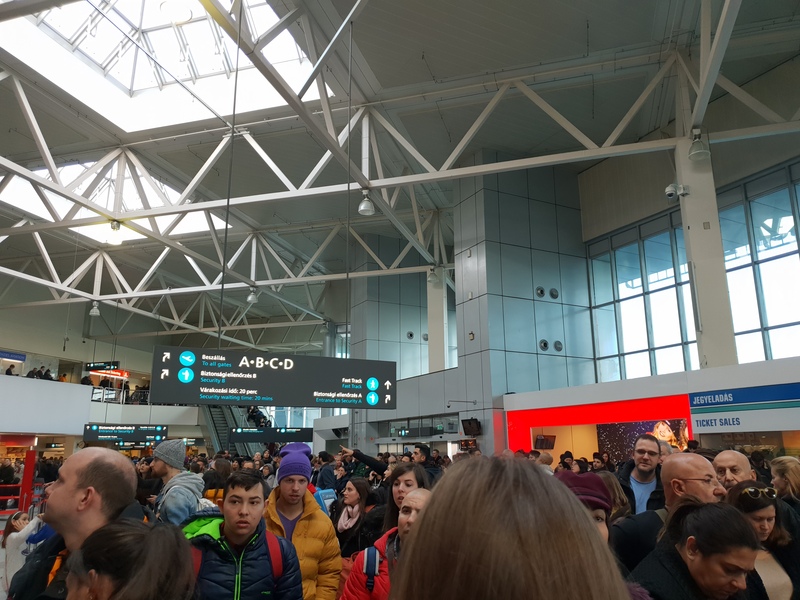 "security process was a complete nightmare"
Not Verified | Strange airport, the arrival process was fine no issues, but the departure process well that is another story! Arrived just under 3 hours before my flight was due, check in was a bit slow, but the security process was a complete nightmare. Automated security gates that sometimes worked, so when they didnt the queue stopped, once through these gates, another queue which slowly wound around until you reached the real horror of the very disinterested staff themselves, grumpy sullen mostly young, random decisons about removing boots, jewellery scarves, no trays so I went to get some but was told off for doing so! It took so long that we nearly missed the 30 mins to board, once we found the gate down some stairs, another queue as there were no buses, finally one turned up and we all got on it and found the plane. I have travelled a lot and been to some awful airports but this has got to be up there. "security check was about 90 min"
✅ Trip Verified | The airport is small. There are two little terminals. The capacity is low. In the morning when we left the country there was a very long line. The waiting time to the security check was about 90 min. This is too much. The police (border control) is slow too. Only 4 windows work in the morning. The prices are high. A bottle of Evian spring water 4 Eur (1400 HUF) in London the same water only 2 EUR (1.8 GBP). Not Verified | I've just got back to the UK on a WizzAir flight from Budapest to Birmingham. 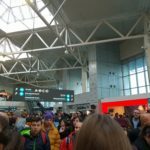 My experience at the airport was truly awful. We arrived at the airport 2 hours before departure at 4 am! 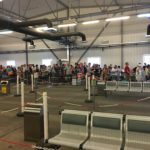 There were literally thousands of people in the terminal trying to check in and go through security in countless queues. You couldn't tell where the queues began or ended or in fact where they were going. We got in the wrong queue and wasted at least 30 mins, probably more. By the time we got through the security checks, our flight was boarding. No time to go to the toilets or buy a bottle of water. The security personnel were very rude. 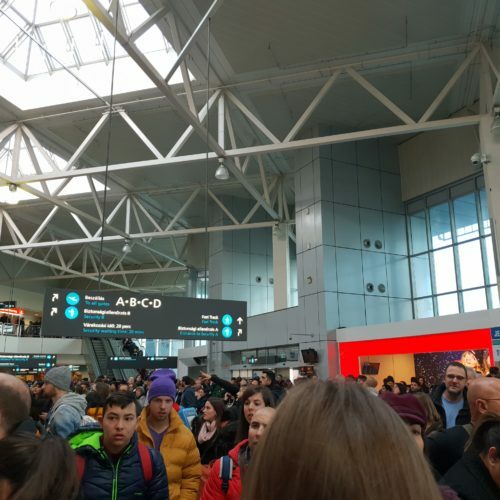 Our stressful journey was made even more stressful by the airline reassigning my 14-year-old son's pre-booked seat, but that's the subject for another review. Perhaps if all the flights were not leaving at the same time, the airport would be less crowded. There were at least a dozen flights leaving within 5 minutes of each other. This was not a special incident, just generally over-crowded conditions caused by poor management. Birmingham airport, which handles similar passenger numbers, was a walk in the park in comparison both on the outward and inward journey. ✅ Trip Verified | Worst airport. I needed to do a VAT refund that required a stamp from the Customs. The officer in 2B terminal seemed to be angry all the time. He didn’t accept the boarding pass on my mobile while the other parts of the airport accepted it. I can’t imagine how I can get the printed one while travelling aboard, I needed to ask the staff at the ticket office to print it. Moreover, when the queue was long, he rejected more than half of the queue and told us to move to 2A terminal with his anger. I’ve been to many airports in Asian and European countries and did the VAT refund as well, BUD is the worst. The check-in queue was not so long, but there was still not enough space for people to queue. The airport is too small and no staff manages this kind of thing. For shopping and dining, there is few shops available in the airport. The immigration officer worked slowly. Although there were not much people, the queue was getting longer and longer due to the slow process. Not Verified | I was so glad to find that I am not the only one absolutely shocked with the conditions of this airport. I am waiting to check in at the low cost flight and I am near a nervous breakdown. There are 7 same company flights and only 2 check in stands! The queue spreads across the entire terminal and people are so rude as they are also fed up with this conditions. Everyone is pushing and shoving and I still can't believe that this is considered acceptable. Just saw their sign saying they are the best airport in Europe - according to whom? I would rather walk places than having to use this airport ever again.